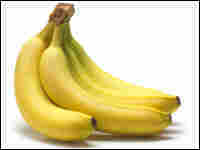 Bananas, A Storied Fruit With An Uncertain Future Americans consume more bananas than apples and oranges combined. Dan Koeppel, author of Banana: The Fate of the Fruit That Changed the World, gives us a primer on the expansive history — and the endangered future — of the seedless, sexless fruit. Americans consume more bananas than apples and oranges combined. Dan Koeppel, author of Banana: The Fate of the Fruit That Changed the World, gives us a primer on the expansive history — and the endangered future — of this seedless, sexless fruit. Koeppel traces the ubiquitous yellow fruit back to the Garden of Eden, where, he argues, it, not the apple, was the "forbidden fruit" that Eve offered Adam. 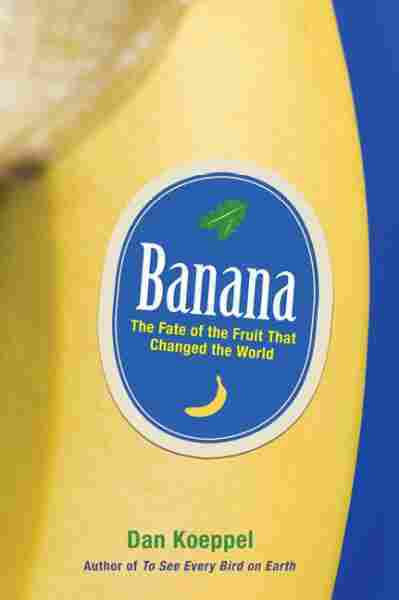 In the 20th century, he examines the United Fruit Co.'s maneuvering in the "banana republics" of Central America, and warns that the banana's unique reproductive system — each new fruit is a genetic duplicate of the next — makes it especially susceptible to epidemics.